Acanthus mollis, perhaps more commonly known as 'Bear's Breeches', is a handsome, robust hardy perennial noted for its architectural foliage. While at face value the name 'Bear's Breeches' may not make much sense it is believed to be a corruption from its 17th century Cornish name of 'Brank Ursine'. Brank Ursine means bear’s claws and relates to the shape of its flowers. Native to the Mediterranean region including northwest it is one of the earliest cultivated plant species. 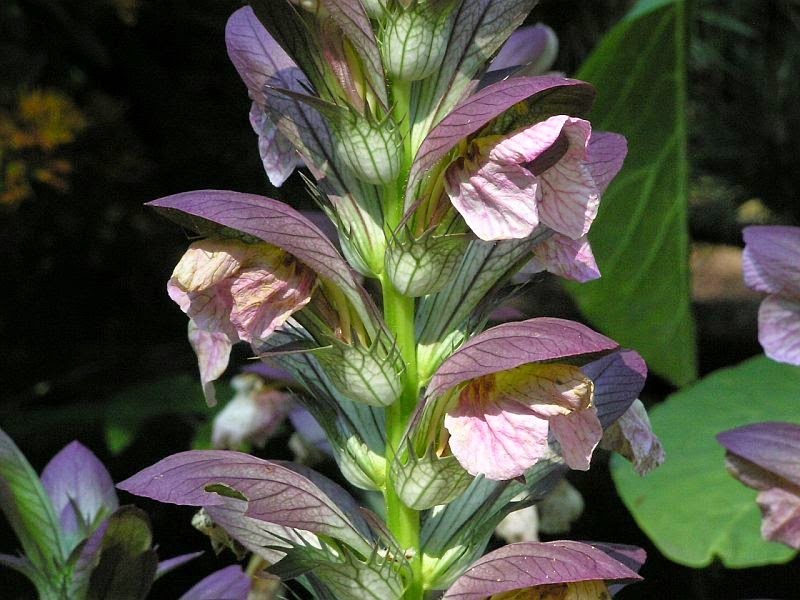 In fact there are records dating back which describe how the roots of Acanthus were boiled for poultices to cure burns, sprains, gout and even baldness. During the Roman conquest of Britain they were also grown for their ornamental value, in particular to line pathways. 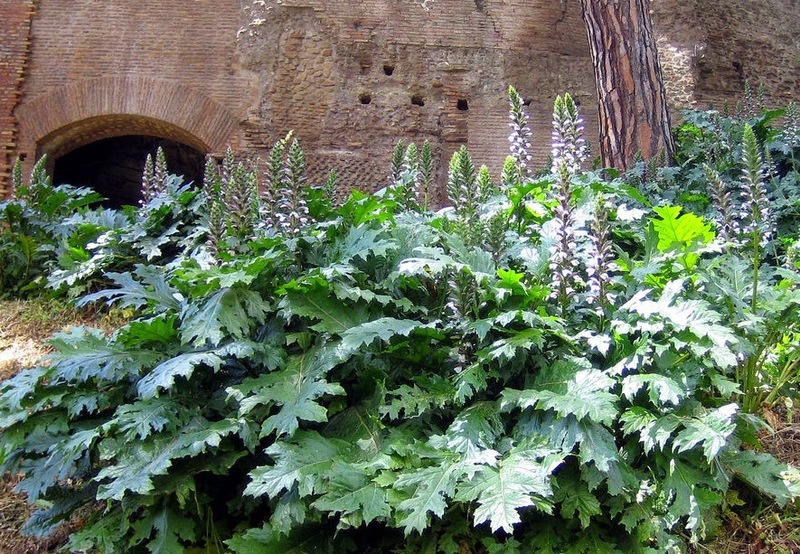 Given favourable conditions, Acanthus mollis will reach an approximate height and spread of between 1 - 1.5 metres. The mid-green leaves are ovate and glossy and have a heart-shaped base and deeply cut, wavy margins. The white and purple flowers are produced on 150 cm spikes from July until August. Acanthus mollis will perform best in a sunny or lightly shaded position in a deep, well-drained soil. Avoid disturbing the root system until the plants becomes overcrowded. Cut the stems back to almost ground level after flowering. Once established Acanthus mollis can show good drought tolerance. In warmer temperate countries you may need to provide shade from the hot afternoon sun to prevent scorching. The leaves of this plant are considered by historians to have been the design inspiration behind the Corinthian column capitals of Greco-Roman architecture. Legend has it that a well known Greek architect was walking by a graveyard in ancient Corinth when his attention was drawn to the grave of a young girl. The grave had been marked by a large basket positioned at its head which was weighed down a by a flat ceramic tile. 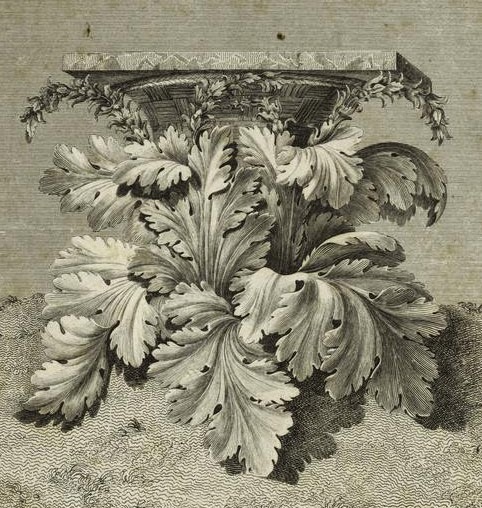 The basket had been put in place over the winter, inadvertently on top of an Acanthus mollis. Come the spring the new growth was forced to grow outwards beyond where the basket sat before it could emerge through the soil. When it did the foliage surrounded the basket like a nest of leaves and the tall spired flowers became distorted into graceful arches reflecting the basket’s fluted neck. The architect was inspired by what he saw and recreated the effect in a number of his columns. It soon became a popular demand for the Corinthians and so the fashion for such columns and their distinctive motif had begun.